I just got back from Faenza, the ceramic center of Italy. Together with professor Rolando Giovannini and 6 other Italian artists I worked on the project “Selfie in the City”. 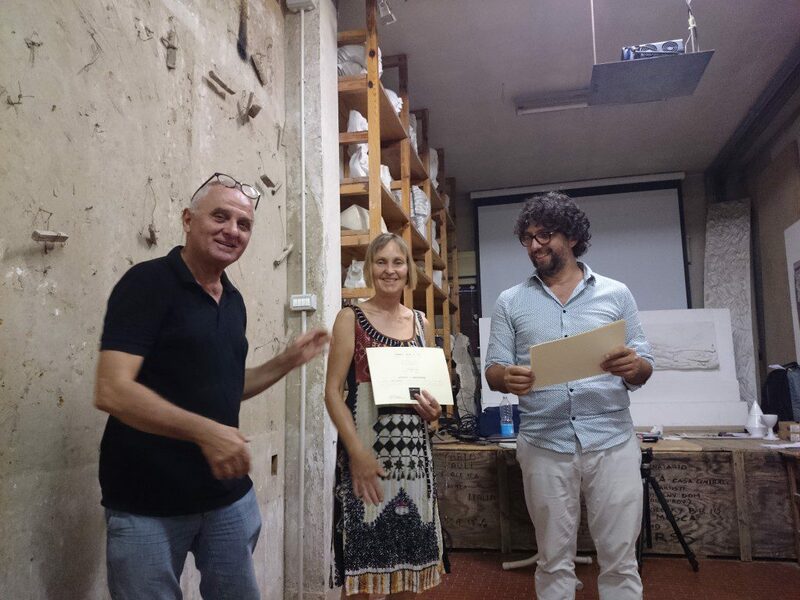 I received a certificate of the master ceramist Rolando Giovannini (on the left in the picture) and Matteo Zauli, director of the Carlo Zauli Museum in Faenza.